This Salted Caramel Brownie recipe is like baking for dummies. 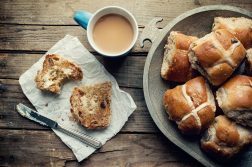 Although I consider myself quite the experienced baker, if I ever feel the urge to whip something up quickly, then this is the recipe I always come back to. I’ve made it for my family, my boyfriend’s family, and university flatmates alike. It’s a genuine crowd-pleaser that can be easily adapted for individual tastes. A real win-win. I wish I could say that I came up with the recipe myself or that I even discovered it my Mary Berry Baking Bible. But dear reader, I would be lying. 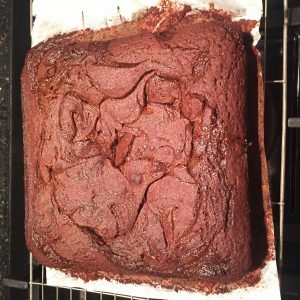 Instead, this recipe first appeared on my radar this Summer when my favourite beauty blogger/youtuber extraordinaire, The Anna Edit, uploaded a tutorial video on how to make these indulgent brownies. I was sold. The recipe itself is incredibly simple. Once you’ve made it once, I’d say its takes about ten minutes to throw all the ingredients together. 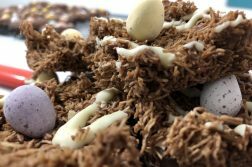 You’ll probably be surprised by what you already have lying round but all you need for this recipe is 150g Dark Chocolate, 150g Unsalted Butter, 250g Unrefined Golden Caster Sugar, 3 Eggs, 1 Teaspoon Vanilla Extract, 100g Plain Flour, and 150g Caramel Sauce. In my experience, I find that the brownies actually take about 30-35 minutes to bake, rather than the suggested 25, and I like to swirl the caramel sauce around to create a pretty, marbleised effect. 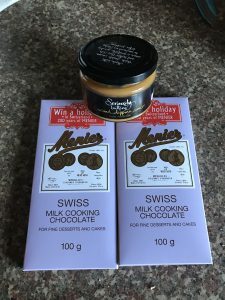 This time, I substituted the dark chocolate for two bars of good quality, milk cooking chocolate as it slightly reduces the richness of the end result and makes them a little sweeter. This Salted Caramel Dipping Sauce from Waitrose is perfect and means you don’t have to faff around making your own caramel. Everyone always says that baking is very therapeutic. 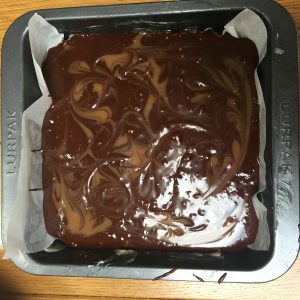 Well, with the stress of essay deadlines and January exams looming on the horizon, consider giving this easy recipe a go – trust me, brownies are the best kind of stress relief. Don’t find it works? 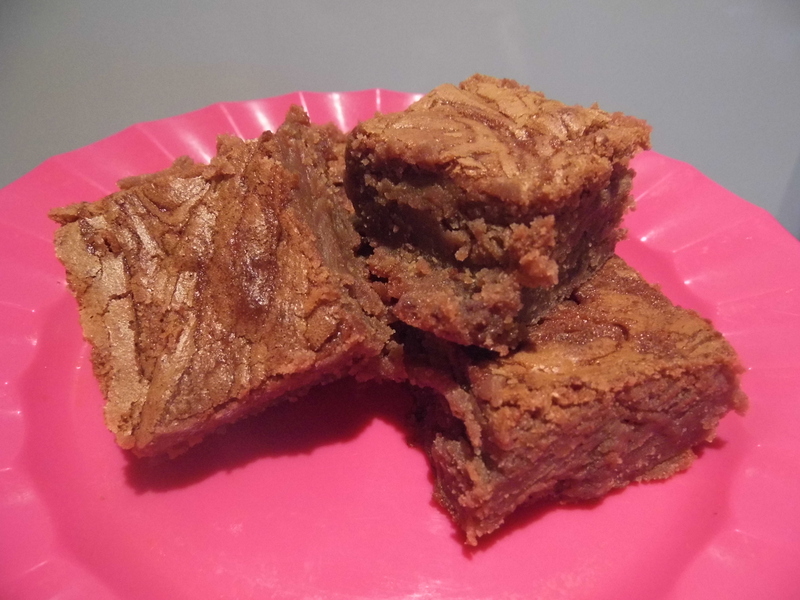 Then you’ve still got some delicious brownies to get you through till the Christmas holidays! Enjoy.